Your tiny puppy is growing up before your eyes. His teeth are getting stronger and you feel that your little German Shepherd is ready to start bite build training. There is no need in long searches of training supply for this purpose. You are offered very practicable and top quality Bite Builder, which is created specially for training puppies and according to the highest standards to dog grip training gears. 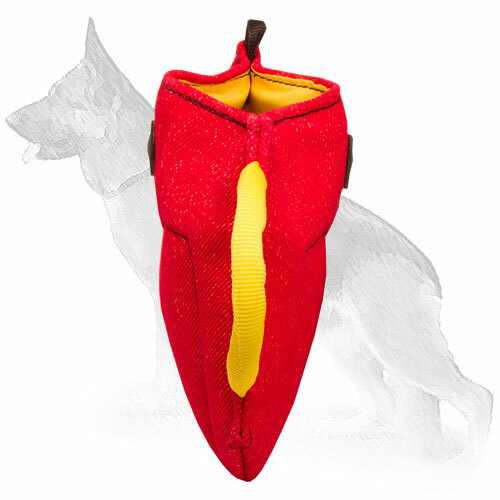 It is made of safe selected materials, has improved design for maximum comfort and light weight. Try this grip developer and feel all the advantages of this indispensable helper in puppy training. 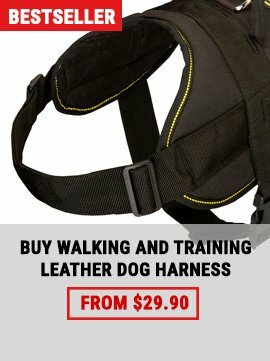 This Bite Builder is comfortable for both trainer and puppy. 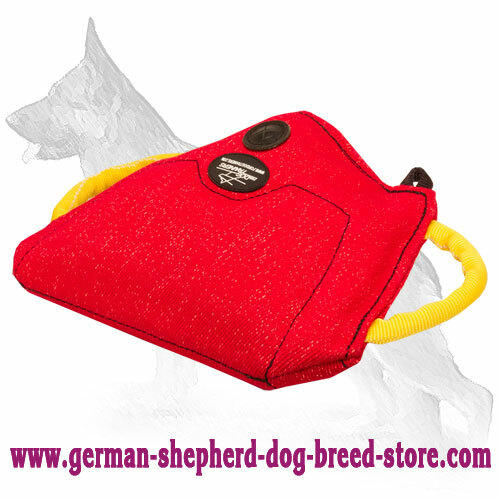 By means of soft handles you can regulate the angle for your dog to bite in order to build full strong grip. While holding one padded hard handle you can avoid any injuries holding your hand inside and secure safety during training. Besides additional comfort is guaranteed by light weight of the item. 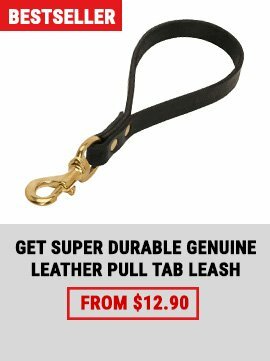 If you want to attach the leash, this dog supply has nylon loop for this purpose. Material used in manufacturing this bite builder is worth certain attention, because French Linen is time-proof and dog-friendly fabric, which provides long and safe usage. Chose this awesome grip developer and you won't be disappointed. 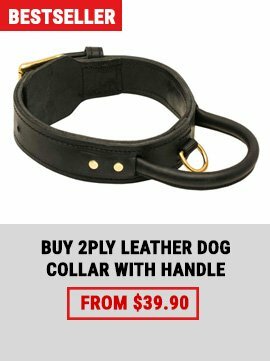 Your puppy deserves the best.